The website: "www.healthistheultimate.com," which is allegedly owned by Oriarewo C Inegbedion from Uranium Computers and Communications that claims they can show you how to make thousands of dollars from shares, stocks, or just make money online like an online information marketer, is a scam. 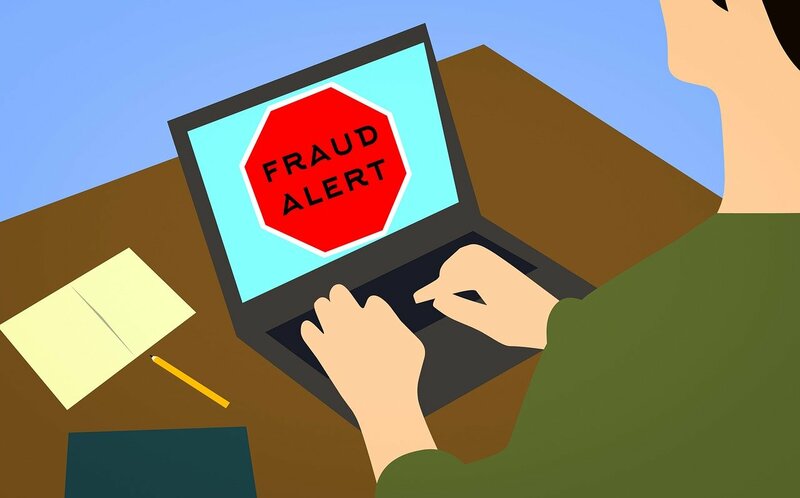 The poorly designed website was created by scammers to trick their potential victims into sending them their money, thinking they are investing in a legitimate business. But, once the victims have sent their money, the scammers will just take it and will not contact the victims, unless they want to steal more money from them. But, sending money using the transfer services above will make it impossible for victims to get back their money, after realizing they have been scammed. Unlike a credit card, victims can always dispute transactions with their banks and have their money refunded. So, please stay away from the website “healthistheultimate.com” and do not follow the instructions on it. If you are already a victim, please report it to the police or your local authority. Chaiiii, thank god oh, I nearly fall 4 this man; if not that I said let me do reseach about him, because I have been scam over 200k before. Chai.. His grace wil expire some day. The guy goes by several names. Oria Inegbedion, O C Inegbedion, Oriarewo Inegbedion. He defrauded me of over half a million. He is a criminal and a rogue. He has different coys by which he defrauds innocent public. The copy&apos;s are Choice Orbit Concept NIG Ltd and Uranium Communications NIG Ltd. The address of Uranium Communications on the Facebook is 36, Ademola Adetokunbo Crescent but the one on his site is 163, Ademola Adetokunbo Crescent. He changed the site to www.legalprofits.com.ng and www.secretsofmoney.com.ng. He even advertised in major online newspapers. The newspaper has removed the adverts when I reported that the guy is a fraud. One learns everyday. Oriaewo Inigbedion is a confirmed rogue . He defrauded me of N100k, for a dubious Selfmade package. Massive curse is on him right now! He is using Uranium communications Ltd to defraud Nigerians. Nigerians beware!! Please, I am suggesting that we go report this fraudster en-mass to the EFCC, thanks. I have been to EFCC office several times and it was just a waste of time and transport because they said I paid for an information marketing money making website like he promised and he fulfilled his own part,I provided all the email trails for them to read and try to establish a case.The EFCC guys were nice and just told me the truth. They said if he had collected the money from me without giving me anything in return then there would have been a case. I was advised that I will just be wasting more money and my time. So what now? The EFCC can easily track down the guy if they want to. Exactly what I told the EFCC but they asked me what they need to track him down for based on my report, because I actually got what I paid for but not fully satisfied. I was told that they can be sued for wrongful arrest and whoever pulls that can loose his job. So, does it now mean that there is no case? He is dupe. They dupe/deceive me of 80,000 thousand naria without refund; he ask more money. My God will punish them, also my God will put them in debt this year. Thank you for this info. I have even promised to pay him the money next week, but not anymore. But what about the physical address that is displayed on the website? Oriarewo claims to be a God fearing man but he is really a stone hearted rogue that goes about milking people of their money and changing location, he is preparing for his destruction and eternal poverty where he comes. That&apos;s true, Oria Inegbedion is a fraud, a cheat and 419. He goes about scamming innocent people of their hard earned money in the name of Self Made - an online set up that is not working! If you ever give him your money, you will end up regretting. He is a not genuine. This is very terrible , I thought I&apos;m was the only one that lost more than N100,000 from oriarewo Inegbedion. God help us never to fall a victim again. But, why can&apos;t these guys be traced with their address and prosecuted? It baffles me that something like that has not been done. It is not so easy when the internet span across many countries with different laws. Thank you for revealing the secret behind their tricky email that is being sent to me from time to time from website "www.Healtistheultimate.com". Please my beloved people of nigeria stay away from this website "www.Healtistheultimate.com" because they scammed me before I get here. I thought they are real but at the end I lost my money. I just want to say a big big big thanks to you. The healthiswelth people have been talking with me for sometimes now, just as you described them and I promised, promised to pay this week. Thanks for the expo. It is true... oriarewo, the thief tricked my sister into paying him 150000 and 70000 for an info marketing website that is not working. The thief Oriarewo is preparing his doomsday but sadly he will be going down with his beneficiaries, he is an arrogant rogue who has met his waterloo. Guys beware of unstoppable funds, he is also a part of it. Unstoppablefunds is a greek company from our findings, so I doubt he is part of them. The rogue has even changed name to Clifford inegbedion and even runs a foundation from stolen wealth. A big curse on him and his household, his doom has began, he will be history by 2018. I did a little investigation and he is not the owner of the foundation,it is a different person,yes he will be doomed by 2018 I agree with you.